Eric J. Weitzel is a 1997 graduate from Marian College of Indianapolis, Indiana, with a Bachelor of Arts degree in history, and has received his Juris Doctor from Indiana University - Indianapolis in 2000. Prior to joining Fifer Law Office, he practiced law as a Deputy Prosecuting Attorney in Clark County, Indiana. Eric primarily concentrates his practice in the area of criminal defense. 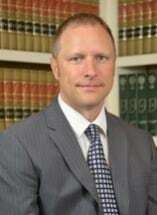 He is licensed to practice law in Indiana and is a member of the Indiana State Bar Association, Floyd County Bar Association, Clark County Bar Association and a member of the National Association of Criminal Defense Lawyers.